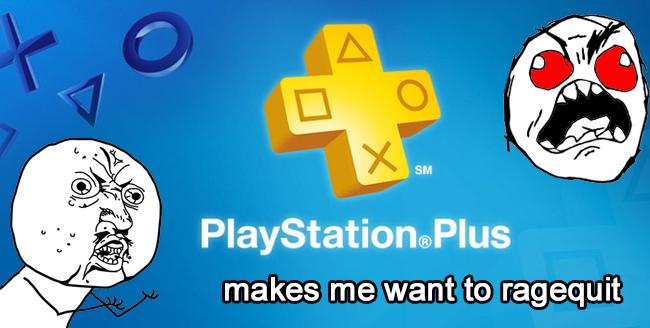 After booting up the PS3, updating, and (finally) loading the store, I went directly to the PlayStation Plus option. Only two games were displayed on the screen, neither of which seemed really worth playing to me, so I continued to scroll along in the menu, hoping to find something worthwhile that would convince me to spend the $50 a year-long subscription would cost. However, I couldn’t find the games list that I knew must be somewhere. 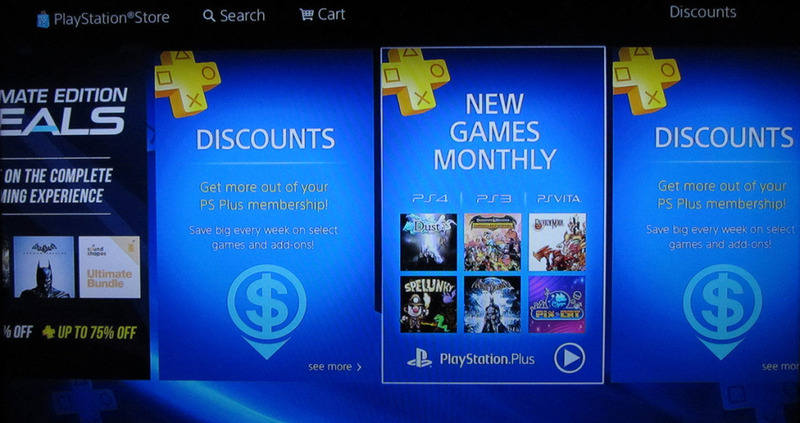 Every time I selected the PlayStation Plus games, I would get sent to the purchase screen for the various deals (one month, 3 months, 12 months), but there were no games in sight. While I’m sure this is a conversion boosting strategy that’s meant to make it as easy as possible for the user to buy, it’s an incredibly annoying way to try to found out what you’re even paying for. Just kidding, all you get to see here are the subscription plans but not a single game. I then found somewhat of a semblance of a games library through the “Discounts” tab, which only ended up increasing the annoyance level. While there were some games on this screen, the majority of stuff that was displayed was entirely irrelevant to what I was looking for. The list was full of avatars, bundles, and other crap. The rage level began to rise as I threw my credit card across the room. Out of 72 items displayed, 43 of them were avatars. The other 29 were a variety of games (8), add-ons (2), or bundles (19), 7 of which weren’t even applicable to the system I was using. I find it very difficult to believe that after years of having a PlayStation account and using it on a pretty regular basis, PlayStation isn’t aware enough of the fact that I’ve never ordered a game for a PSVita, nor do I own a PS4. Where are the games Sony? Rename your console to AvatarStation. 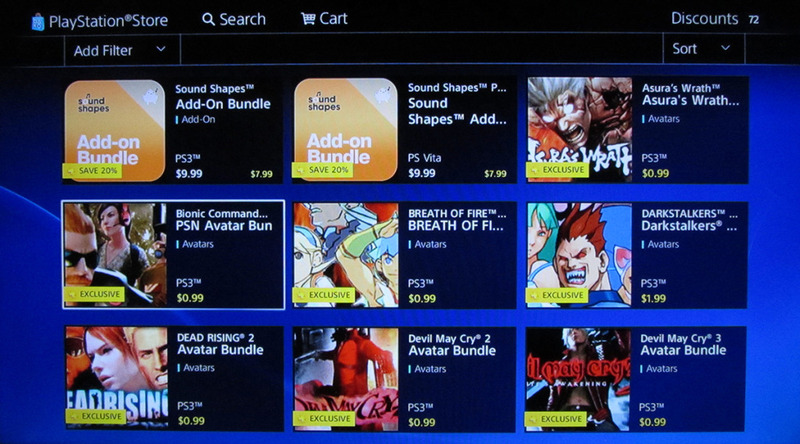 And yes, I’m fully aware that there are filters that you can apply to the results displayed, but the most basic of filters, the one that says GAMES, is somehow missing from the whole scenario (although the “game types” filter did proudly display a whopping 2 full games available for PS3). The fact that I still have to scroll through a list of avatars and add-ons that I’m surprised anyone even spends their money on makes me want to throw the whole console out the window immediately. Games you can try for 60 minutes, no thanks. The downloading and installing process is just too painful for the 60 minutes of gameplay. Then I mustered up the courage to look at “Join Now” and tried to click on what looked like a video of how PlayStation Plus will allow me to “Experience more together”. Well, disappointed once more, I didn’t get to see a video, but I did get to the Free Games page which had a total of 8 games to show, 5 of which were the same, just differing on platforms. This unnecessarily difficult charade made the search for what I actually get by purchasing PlayStation Plus just as much of a mystery as before I wasted 30 minutes of my life trying to solve it. The New Arrivals showed most of the same games as the Expiring Soon which confused things even further, and out of the handful of games that I could clearly see were part of PlayStation Plus, there were absolutely zero of which I would have any intention of ever playing, even under the direst of circumstances (I’d rather read the dictionary instead). The fact that the store is, in general, incredibly slow to render and load, and the fact that it’s so frustratingly organized is one thing. But then to offer a “service” that’s supposed to give you benefits that someone must have worked very hard to conceal is the cherry on top of the crapcake. 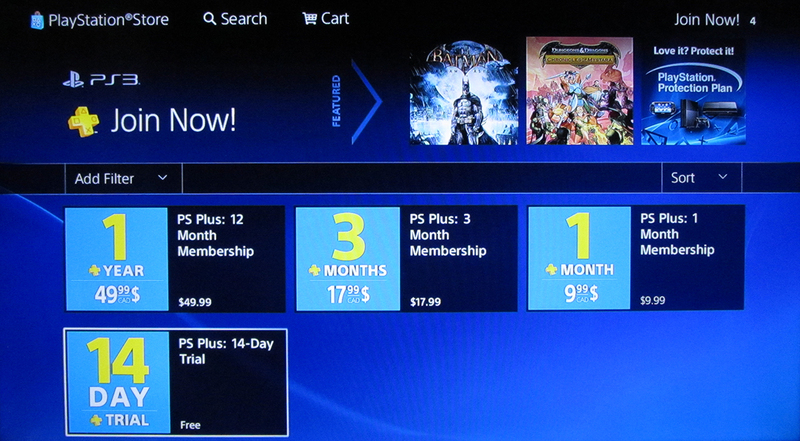 I honestly don’t understand how PlayStation makes ANY money off of the PlayStation Plus options. After finally giving up on any hope or desire to actually spend money on PS+, I decided to take one last look at the regular store page before chucking the whole system in the garbage. Although the regular store is more user-friendly in the sense that actual games are listed and relatively easily viewable, most of the games offered are questionable titles such as Arcana Heart 3: LOVE MAX!!!!! (don’t forget the 5 exclamation marks…) for the low, low price of $39.99 and inviZimals: The Lost Kingdom ($29.99). Don’t get me wrong. I think it’s great that Sony offers the PlayStation Store and that PlayStation Plus is an option. But I fail to see how loading a GAMING CONSOLE’s store with a neverending list of NOT GAMES instead of entertaining, enjoyable games that people might actually want to play (and pay for) makes any logical sense. The fact that it’s incredibly counter-intuitive and frustrating to navigate through doesn’t exactly inspire me to spend my money, let alone even bother opening the damn thing again. I’m not even going to mention the two times the store crashed while on this venture because that would just be too easy at this point. After this experience, I’ve gotta say it’s gonna be a while before I boot up the good ol’ PS3 again for anything. I’m going to go ahead and take my money back over to Steam where I can at least purchase a game without having an aneurysm. Author at Game Crusaders. Lover of indie games, platformers, and puzzle games. Her all-time favourite game is Super Mario World, played on the SNES. One day Sonia's dad came home with a Donkey Kong Country Super Nintendo (SNES) bundle. Ever since then, she fell in love with video games. She enjoys playing indie games, platformers, and all sorts of puzzle games on consoles and has recently become the proud new owner of her very own Steam library. For getting her real fix of gaming though, she will dust off the old SNES controller and do a speed run through Super Mario World or collect bananas in Donkey Kong Country. She’s a real old-school gamer. I’m a gamer. I want to play games I like playing on whatever platform allows me to do that best. I didn’t have a Steam account until recently when any time I tried to play Skyrim on my PS3, it crashed and I lost any progress I’d made since the last save. That doesn’t leave me much of an option other than to try to find a different platform where that doesn’t happen. I’m in total favour of consoles. What I’m not in favour of is crappy services that don’t allow me to have a good gaming experience. Your problem is you looked at PS Plus too late. I’ve had it since it came out and I have a lot of great free games I still haven’t played. If you sign up now you only get a few PS3 games. Now it’s better if you have a PS3, Vita and PS4. 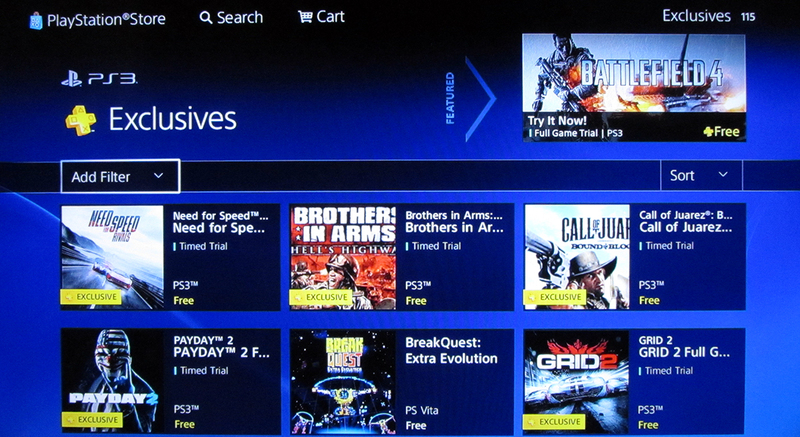 Too bad they don’t just have a PS Plus library and let everyone have those old free games. They’ve had so many good games but you have to get them before they go away. Yeah, that definitely is my problem. I had PS3 back when the instant games library was still a thing and I thought it was a great service then. That’s why I was so excited to give it another go. I can see the benefit of still getting it now as Spiku so clearly described below… but it’s a bit of a chance of whether or not the games you get are going to be games you even want to play. That’s what I find is such a shame about it now, alongside the fact that it’s such a frustrating user experience to navigate through. Ok so two HUGE problems. You just glanced at it & left, they release games over time. You build up a great library of games over time. But yes it does need to be organized better. The second issue is that you’re a PC gamer. There’s not many games u would like on console. Same way with myself, I don’t like most PC games. I did go through the store a few times, months apart, and found the experience more or less the exact same. You’re probably right in that consoles don’t really release games that I like (mostly platformer, rpg, indie games) anymore, but I don’t think that automatically categorizes me as a PC gamer. There are plenty of games in my PS3 library that I still love to play (Journey, Limbo, Pixeljunk’s Shooter 1 & 2, etc.) and there are games that make it through to the PS Store that I’d still happily buy. I think being able to sit on the couch with a controller and to play a game you love is the ultimate gaming experience. It’s just not one that’s exclusive to consoles anymore. I can get the same experience without having the platform crash because it can’t handle a game (see Skyrim comment above) or a store page and, if anything, that’s what’s driving me away from the console. $0N¥ PauperStation Plus is the biggest scam on the planet. Paying for an inferior network, that hands out “freebies” under a subscription. It truly is a crapcake, but $0N¥ paupers are all brainwashed by the make.belief. -You dont choose the games, PSN does!!! -PS+ give you discounts on the store. (anything from avatars, videos, add-on, 1 hour testing with trophy support ect). PSN is not like Steam!!! Steam does NOT give you free games every month!!! I know I have a account. What amazes me is that Playstation fails to communicate this through their store in a normal fashion. Though you manage to explain how Playstation Plus works in a single comment. 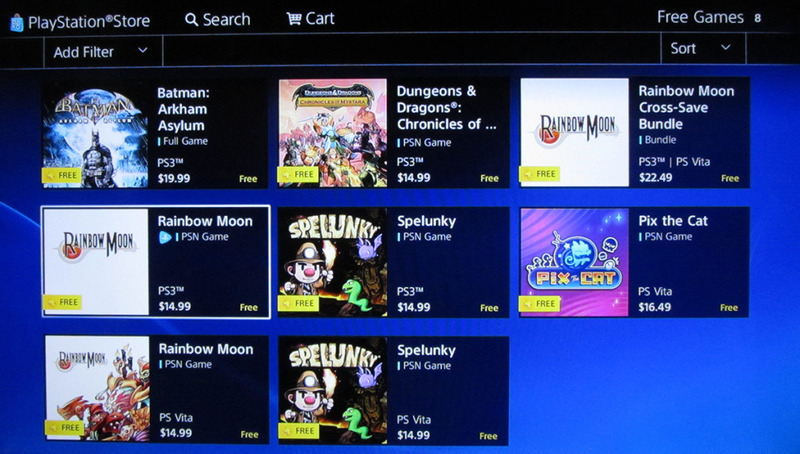 The Playstation Store is anything but user friendly. Anyone who uses the word ragequit makes me want to ‘ragehit’ them. i totally agree. the PS+ store is unintuitive to navigate *especially* for trying to find the free software on offer that month. i’m surprised that the user interface designers haven’t noticed… but also surprised there aren’t more people complaining. xbox marketplace and steam store are both easier to use in my opinion. but PS+ is prettier.